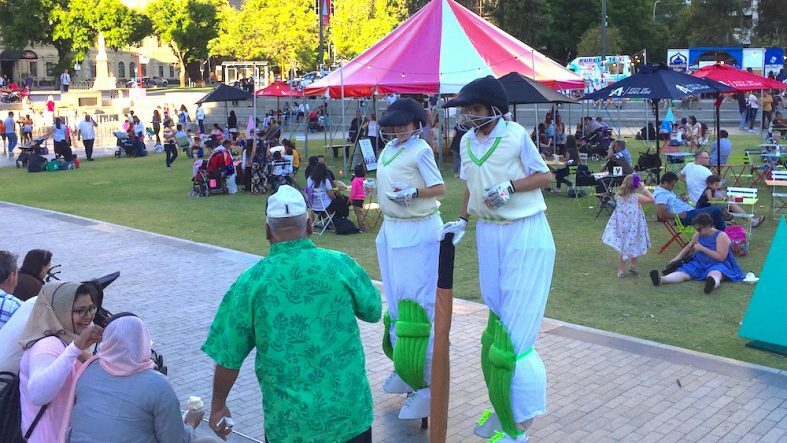 Cricket Stilt Walkers, Adelaide Festivals - ""
Our Cricket themed stilt walkers are great for sporting and Australian themed festivals, in Adelaide but also around the country. 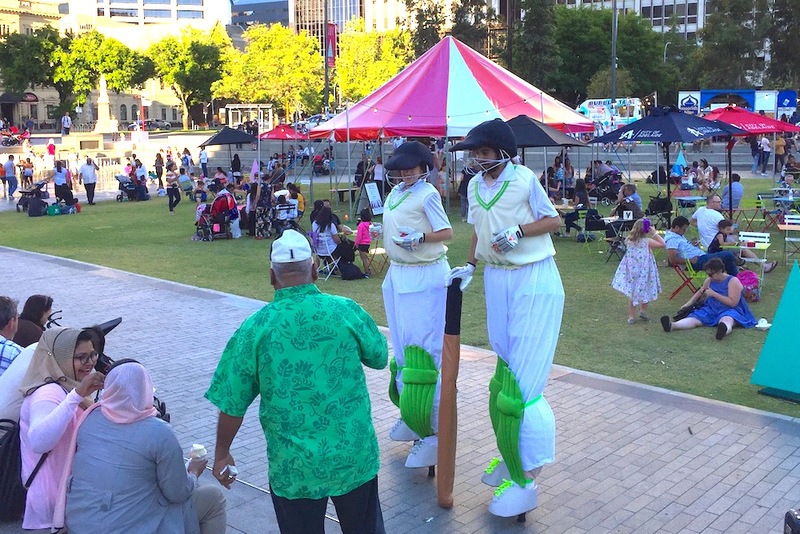 We can sent costumes to stilt walkers in other cities – Howzat! !